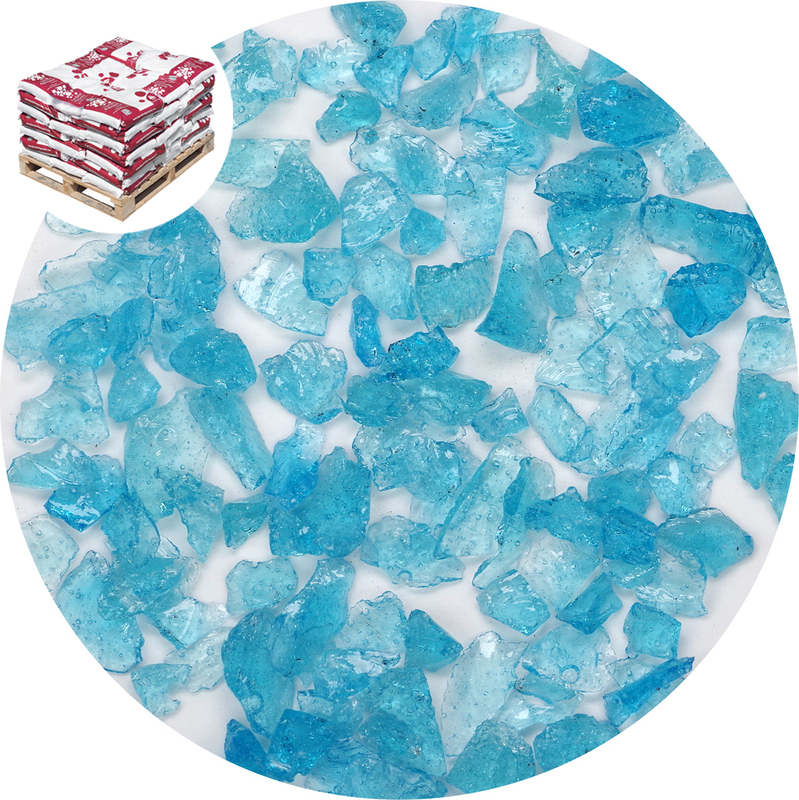 Transparent aqua turquoise blue glass chippings. Colourfast and waterproof, clients have used this product in polished terrazzo flooring, exposed "glasscrete" worktops and resin bound applications. 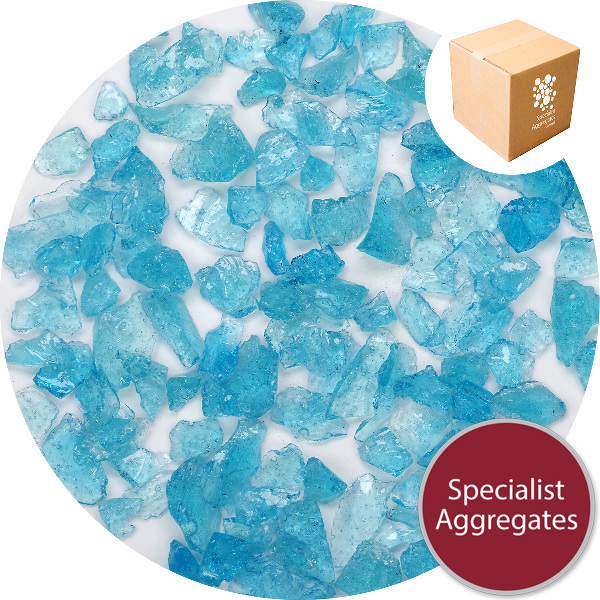 Coverage: As a guide 15kg of Enviro-Glass Crush will cover approximately 0.7Sqm at 15mm depth. 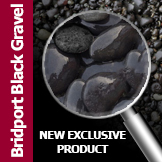 Laid shoulder to shoulder as a single grain thickness 15kg is likely to cover between 6 to 7 Sqm. 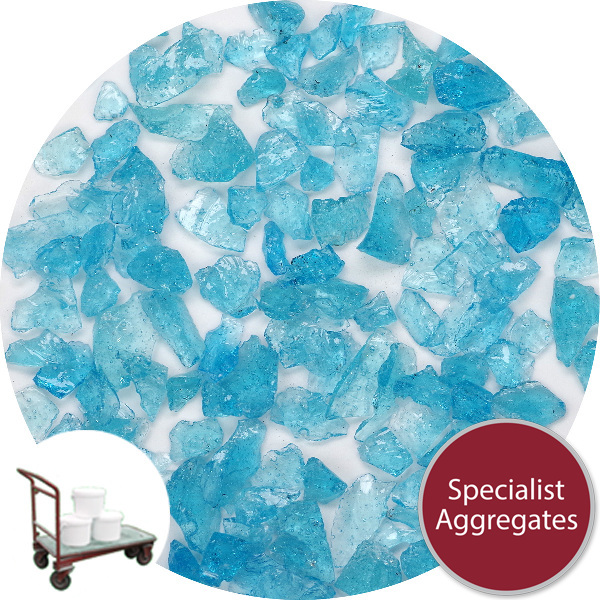 Transparent, turquoise aqua blue glass chippings. Colourfast and waterproof, clients have used this product in polished terrazzo, exposed "glasscrete" work top finishes and resin flooring. Loose laid the glass may be used for window dressing and event decoration. 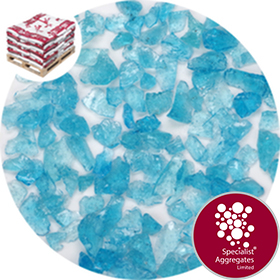 However we would recommend the larger Aqua Enviro-glass (Ref:7408) for use as a memorial topping. Being a glass product the colour will not fade making it suitable for external applications. This product is normally supplied in a dry condition, but please specify when ordering if this is critical to your application. Product may be splintery - handle with care as minor cuts may occur.